Daryl Johnson (Worcester Park, United Kingdom) on 17 July 2013 in Animal & Insect. 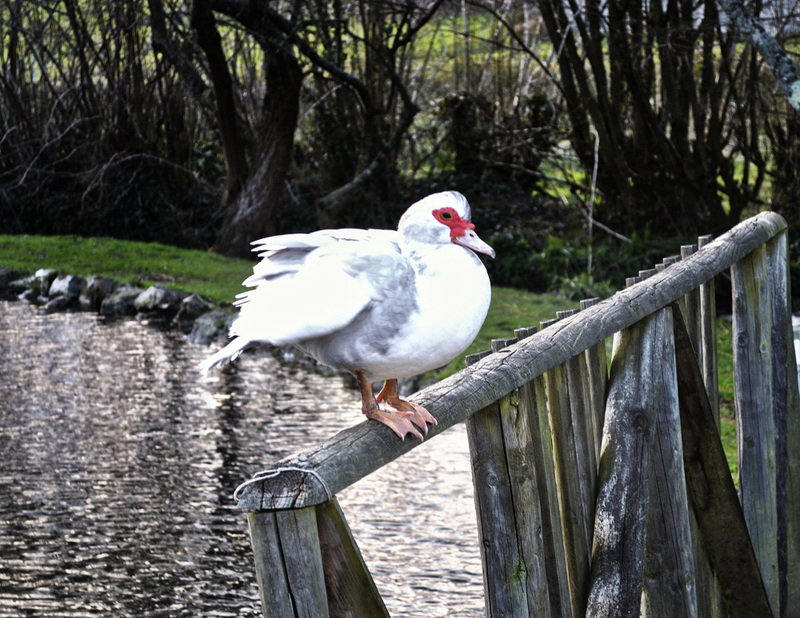 I believe this is a Muscovy duck; there were a few living in the grounds at Hornsbury Mill. Woderful shot. Excellent capture of the rare duck with nice composition. I've never seen it here. Great capture. I love the attitude! Excellent composition, the duck is beautiful. The light and colors are superb. A nice capture of this character who seems to own the place. @Steve Rice: Thanks Steve, certainly untroubled by any people walking around! The "Ugly Duck"! It surprised me the first time I saw one at the Showa Memorial Park at Tachikawa (Tokyo). It was big and placid, did not budge at all, no matter how close I got to it! Quite surprising to see it perched, did not think it could fly!!! @Japanalia: I guess they fly when they want to Gabriela!